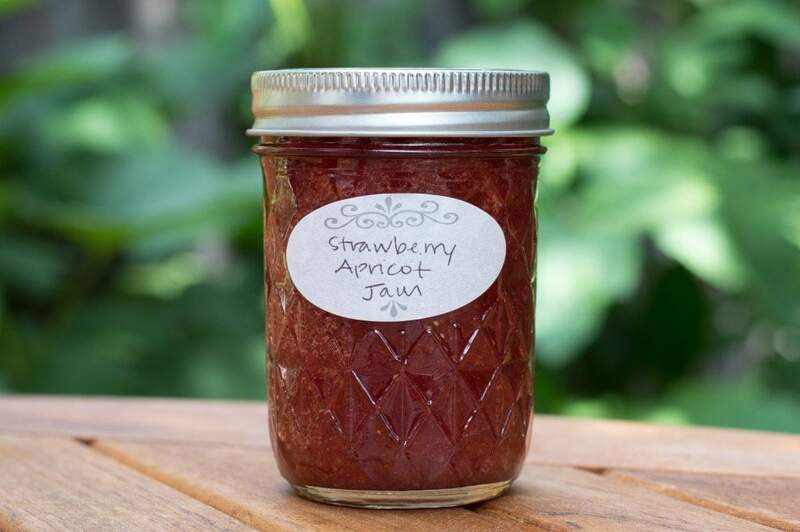 If you’re already familiar with the canning process, feel free to skip to the end of this post for my pectin-free, make-it-right-now recipe for Strawberry-Apricot Jam. Otherwise, join me as I take you on a jam journey. I’ll talk about everything that goes into a great jar of homemade preserves, from choosing the fruit to storing the finished product. 1. Choosing and prepping the fruit. 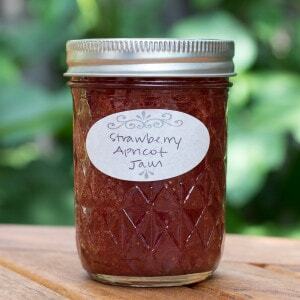 Strawberries are a wonderful choice for jams, since they have a gorgeous, vibrant color and bright flavor, such a treat to pull from the pantry a few months down the road. I also love to can with stone fruits such as apricots and peaches, as the season for these summer crops feels all too short. Other great options are raspberries, blackberries, or whatever berries are native to your neck of the woods. If you have the wherewithal and energy to venture into a bramble and pick your own, aim for a mix of ripe and slightly unripe berries to maximize both the flavor and pectin content of your jam. Depending on the recipe, you’ll need about four pounds of fruit per batch of jam, and each batch will yield 6 to 8 half-pint jars. In order to choose fruits at their peak ripeness but still be able to fit jam-making into a busy schedule, you can freeze the fruit as you buy it. Snap up your favorite varieties when they’re perfectly in season, then rinse, dry, and slice them into approximately 1-inch pieces. Stored in freezer bags, they’ll keep this way for up to 6 months, but I generally store the fruit for just a month or two, then can everything at the end of summer. An added bonus to this method is that it allows you to combine fruits that may not have ripened at exactly the same point in the season. A kitchen ready for canning! 2. Prepping the kitchen for canning. Not only will a clean, organized workspace help you keep your head on straight during the canning process, it’s also essential for food safety. Clear your counters of any clutter and get them sparkling clean, then line them with kitchen towels. Assemble all the tools you’ll need (see the equipment list in the recipe at the bottom of this post). Sterilize your jam jars, either with a cycle in the dishwasher, or by heating washed and dried jars on a sheet pan in a 250ºF oven for 30 minutes. Keep an electric kettle full of boiling water at the ready. 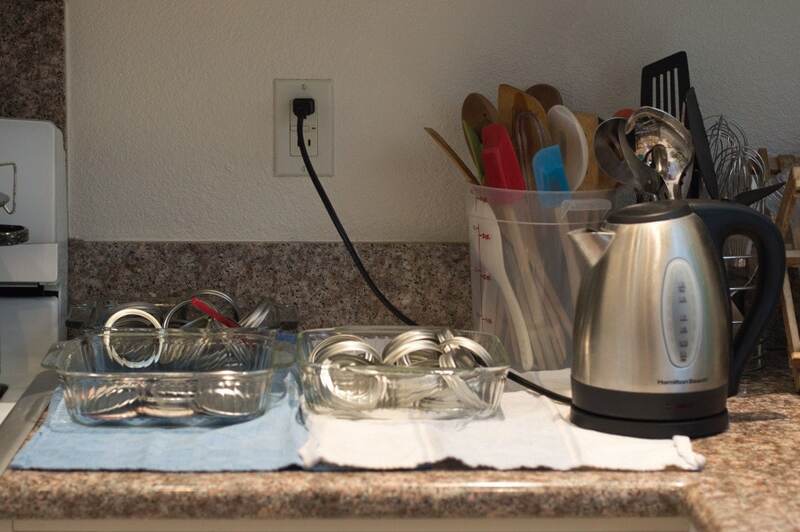 A steady supply of boiling water is invaluable for many canning tasks — you can use it to sanitize the jar lids and bands and keep them hot, warm up your canning funnel and jam jars, top off your boiling-water canner, and rinse off tasting spoons after they’ve been washed with soapy water. You can also keep a regular kettle on the stove over low heat. Fruit macerating with cane sugar and lemon juice. Combine the fruit, sugar, and lemon juice in a non-reactive (glass, glazed stoneware, or stainless steel) bowl, then let it sit for a few hours, or up to 24 hours. This helps to break down the fruit before you even begin to boil it, which will shorten the time it needs to stay on the heat. As a result, you’ll end preserving more of the fresh flavor of the fruit. Chances are, you’ve taken care to pick out produce at the peak of the season, so it’s worth it to take this additional step to retain as much of its flavor as possible. When you’re jamming without any added pectin, a heavy-bottomed pot or jam pan is one of the most important piece of equipment to have on hand. No-pectin-added jams take much longer to cook than pectin-thickened jams, so you run the risk of scorching the bottom of the jam if your pot is too flimsy. I like to use a pot with a generous capacity of 8 to 10 quarts, since the jam is less likely to spatter out of the pot and onto you and your cooktop. For safe stirring, use a long-handled wooden spoon, and stir often, lowering the heat if the jam begins to sputter and spatter. Jam goes through distinct cooking stages as the temperature rises. It starts out as fruit pieces bobbing in syrupy liquid, then thickens and becomes a bit foamy as the fruit cooks down, then thickens further and becomes glossy, setting up into its final, jammy consistency. I like to use an instant-read thermometer throughout the cooking process, monitoring the temperature to stop cooking the jam just as it reaches a proper set, between 215ºF and 220ºF. Bands and lids at the ready, with an electric kettle full of boiling water to keep them piping hot. 5. Ladling the jam into jars. In order to transfer the jam from cooking pot to canning jars with minimal mess, you’ll need a jam funnel, a large ladle, and a damp, lint-free towel. With the jam funnel lowered just a millimeter or two into the jar, ladle the hot jam into the jar, leaving a quarter inch of headspace. Lift the funnel out of the jar, then use the damp towel to wipe the jar rim clean of any excess jam. Carefully lay the lid over the top of the jar, then screw the band onto the jar firmly but not too tightly, securing the lid in place. There was a time when home canners did not generally bother with processing their jars of jam, at least not the ones that already appeared to have sealed with a forceful ::pop:: during the cooling process. Nowadays, however, we know that processing the jars ensures a safer, more shelf-stable result, and it is common practice to process every jar in the batch. The least expensive, most reliable method is to use a boiling-water canner, a.k.a. water bath canner. 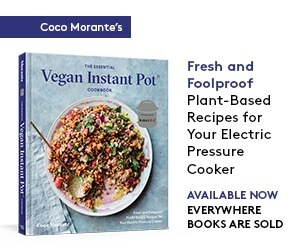 It’s simply a pot that comes with a wire rack, which you can lift in and out of boiling water. This allows you to safely lower and retrieve jars of jam from their processing bath. Boiling-water canners are great for more than just jams — they’re suitable for canning all sorts of other acid foods (pH of 4.6 or lower), such as fruits, pickles, sauerkraut, jellies, marmalades, and fruit butters. If you have a big stock pot (10 quarts or larger), you can use it instead, but it may be a bit trickier to lift the jars out of the pot without a rack insert. Whether you’re using a boiling-water canner or stock pot, you’ll want to have a jar lifter to handle the boiling-hot jars. After you’ve processed the jam jars for 10 minutes in boiling water, remove them from the canner and allow them to cool on the countertop for 12 to 24 hours. These dissolvable labels make it easy to reuse your jam jars since they wash off easily. 7. Washing, labeling, and storing the jars. When the jam jars process in the water bath canner, some of the jam may seep out from under the lids. Rest assured, this is totally normal. After the jars are cooled, you’ll need to remove the screw bands and wash any jam off of the jars and bands (leaving the lids on the jars). Let the jars and bands dry completely, then store the bands separately. If the bands are left on the jars during storage they may rust, especially in humid environments. Finally, label and date your jars of jam, then store them in a cool, dark, dry place such as a pantry, kitchen cabinet, or basement. CONGRATULATIONS! YOU ARE NOW A JAM MAKING EXPERT. IT’S TIME TO MAKE A BATCH OF YOUR OWN. Strawberries and apricots complement each other beautifully in this summery, homemade jam. In a large mixing bowl, combine the fruit, sugar, and lemon juice. Place in the refrigerator and let macerate for at least 4 hours, or up to overnight. 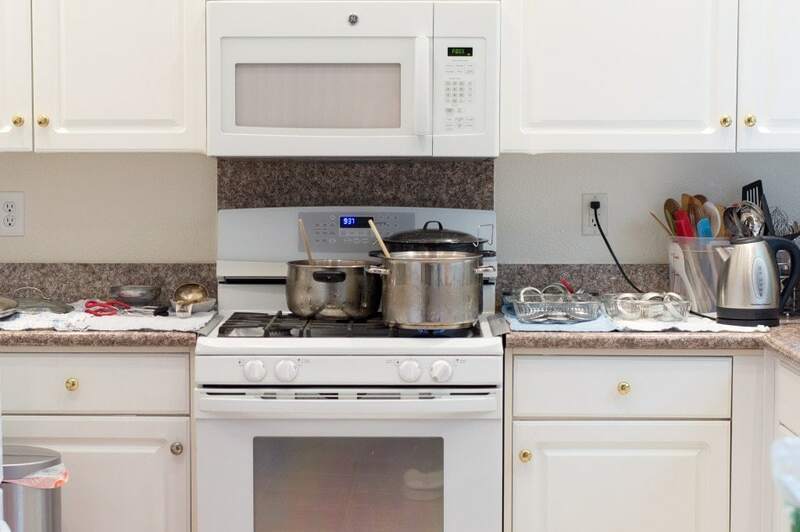 • Fill the boiling-water canner two thirds of the way with water, and place on a back burner of the stove over high heat. If it comes to a boil before the jam has finished cooking, turn heat down to low and leave at a simmer. • Place the jam jars in a clean sink, and fill the jars halfway with boiling water. 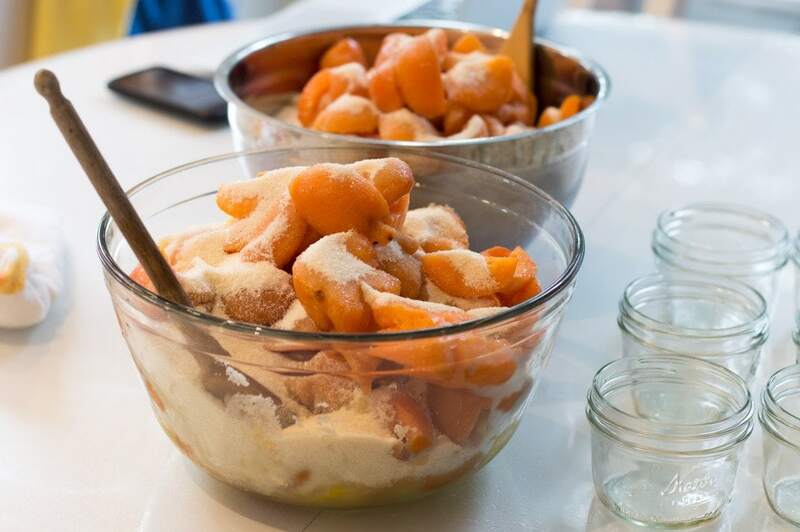 Transfer the macerated fruit from the large mixing bowl into an 8-to-10-quart heavy-bottomed pot or jam pan. scraping all of the liquid out of the bowl with a silicone spatula or spoonula. Bring to a rolling boil over medium-high heat, stirring often with a long-handled wooden spoon. Turn the flame down to medium and continue to boil, stirring frequently, until the jam has thickened and set up. This will take about 25 minutes. If the jam begins to sputter and spatter out of the pan, lower the heat slightly. While the jam is cooking, top off the water in the bowls with the lids and bands, and in the jam jars in the sink, with fresh boiling water from the kettle. Test the jam for doneness with an instant-read or candy thermometer — it is done when it reaches a temperature of 215ºF-220ºF. Taste for doneness as well, by retrieving one of your tasting spoons from the freezer and dipping it into the jam. The cold spoon will cause the jam to set up instantly, and cool it to a temperature suitable for tasting. 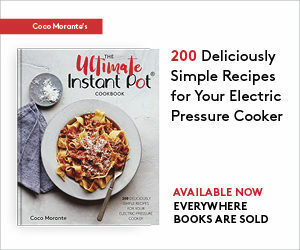 Use the jar lifter to carefully pour the boiling water out of the jam jars and transfer them to the countertop, next to the bowls of lids and bands. Next, lower the jam funnel into each jar, ladling jam until the jars are filled up to 1/4-inch from the rim. If you accidentally ladle too much jam into a jar, use the teaspoon to carefully spoon out the excess back into the pot. Dip a lint-free towel into hot water (from one of the bowls of lids or bands), then use it to wipe the rims of the jam jars clean of any spilled jam. Use the magnetic lid lifter to carefully place lids onto the jars, then screw bands onto the jars firmly, but not too tightly. For consistency, screw each band on tight, then unscrew it a quarter-turn. Check on the boiling-water canner and make sure it has come up to a rolling boil. When the water is boiling, place the rack inside the canner, then use the jar lifter to lower the jam jars into the rack. Lower the rack completely into the canner. If the water does not come up over the top of the jars, add more boiling water from the kettle. Boil the jars for 10 minutes, then use the jar lifter to transfer the jars to the countertop. Let cool, undisturbed, for 12 to 24 hours. Remove the bands from the jars, wash off any excess jam, and let the jars and bands air dry. Label and date the jars with the dissolvable labels, then store in a dark, cool, dry place with the bands nearby. Use within one year. For a definitive guide to safe, reliable preserving, consult the guidelines published by the National Center for Home Food Preservation. 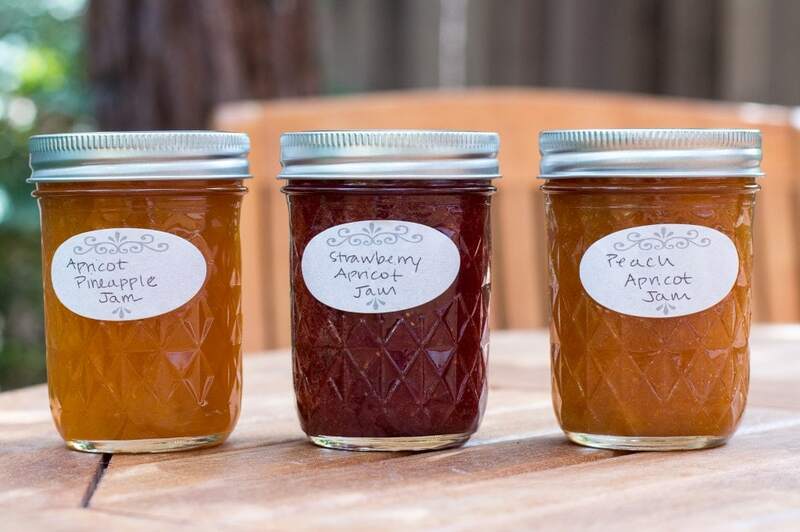 For making jams without added pectin, they recommend cooking the jam until it reaches anywhere from 205ºF to 220ºF, and processing it in a boiling-water canner for 5 to 15 minutes. The low-end of these ranges applies to canning at high altitudes, where water’s boiling point is noticeably lower than at sea level. 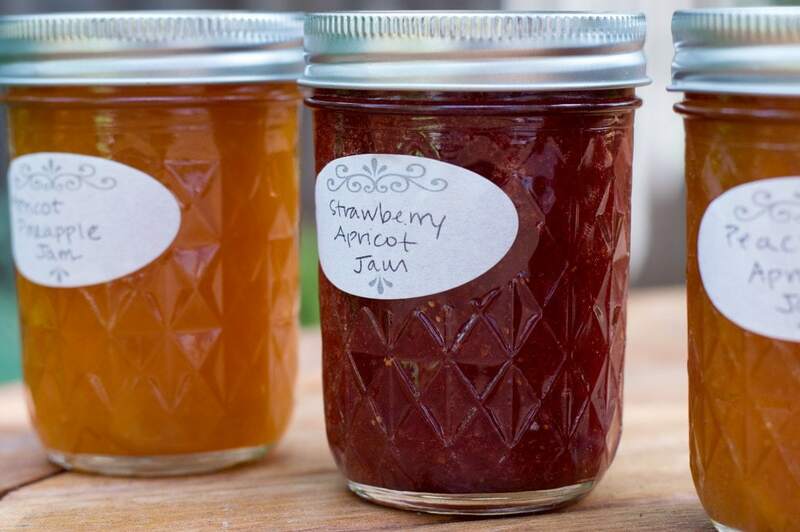 Jam experts June Taylor (June Taylor Jams) and Rachel Saunders (Blue Chair Jam) recommend an alternate method of processing, placing the jars in a 250ºF oven for 30 minutes. 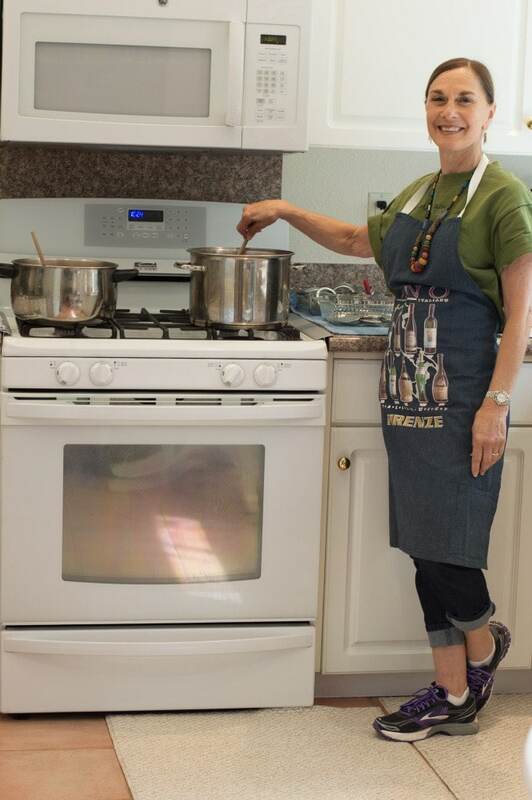 Christine Ferber does not process her jars, using the "inversion method" and flipping them upside down during the cooling process. The NCHFP recommends against both of these methods. The safest way to ensure properly sealed and safe jam is to process the finished jars in a boiling-water canner or pressure canner. I love making jams. Thank you for all the good tips. You’re welcome, Gerlinde! Your jam recipes look wonderful, especially those sour cherries, what a score!